Simulation centers are gaining more prominence in health care as teaching hospitals, medical schools, and nursing schools seek to supplement clinical training with hands-on education that mimics real-life scenarios. Mayo Clinic, a longtime pioneer in health care, made the decision to add a cutting-edge simulation center on its campus in Rochester, Minnesota, and its leadership turned to HGA for our considerable experience in the development of such centers. The Multidisciplinary Simulation Center combines healthcare technology with a theatrical flair to simulate the real-life drama of a hospital. The 10,000-square-foot center includes an entrance lobby, four simulation rooms, six patient rooms, control rooms, observation/debriefing rooms, conference room, offices, and integrated audio-visual technology. A wood-paneled lobby leads to four technically sophisticated simulation rooms that accurately portray the medical drama of operating rooms, emergency rooms, intensive-care units, and endovascular labs. 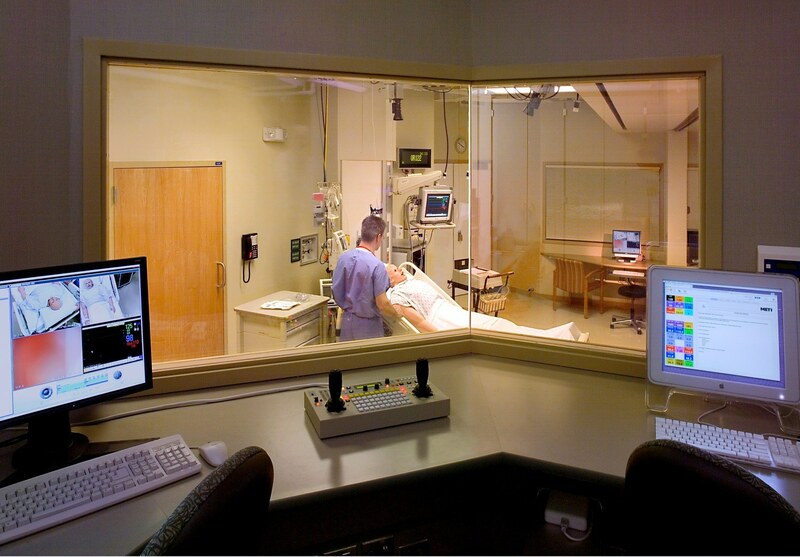 From an adjacent control room, instructors can manipulate mannequins, adjust lighting, and control sound to replicate various patient scenarios. The simulated procedures continue into the flexibly designed patient rooms, which can be arranged as inpatient rooms, examination rooms, or debriefing rooms where actors stand in as patients or family members while students practice bedside manners. In adjacent observation rooms, fellow students can watch their classmates’ progress through one-way windows. Networked audio-visual system enables students to review their recorded procedures. Flexibility, collaboration and technology were key factors in the design of this advanced space. Flexible furniture with casters moves easily for different medical settings. Vinyl Composition Tile (VCT), carpet, wood paneling, vinyl wall covering, solid surfaces create inviting environment. 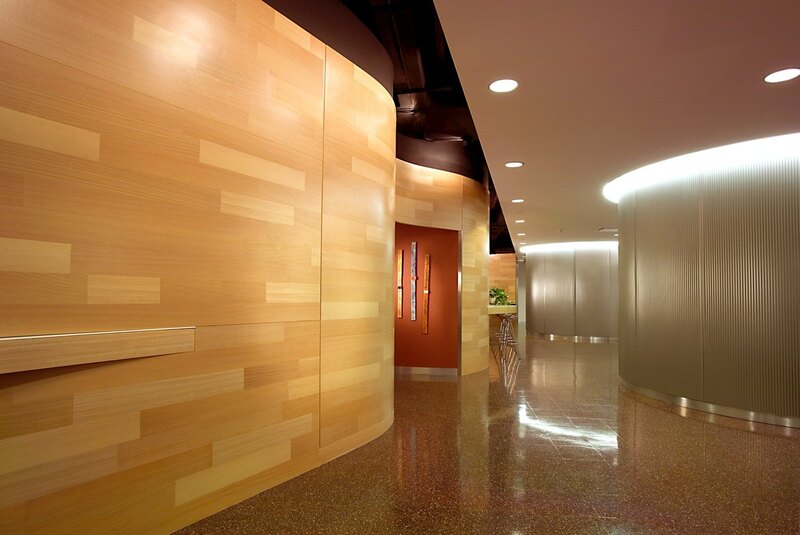 Acoustical wall and ceiling panels address sound control. Simulation centers improve learning rates by placing students in a simulated patient-care setting, training them to handle medical scenarios in a safe, instructional environment that promotes team-based care.